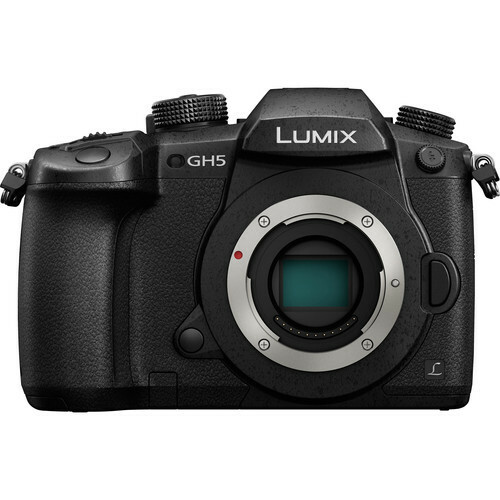 Upgraded, redesigned, and filled with features, theLumix DC-GH5 Mirrorless Micro Four Thirds Digital Camera from Panasonic provides an outstanding imaging platform for shooters who demand some of the best video and still photography quality they can get in a single compact camera. At the heart of the camera is a 20.3MP Digital Live MOS sensor and a newly developed Venus Engine processor, which both offer dramatically improved processing times over its predecessor. This enables the ability to record 4K video at up to 60 fps, 10-bit 4:2:2 internal recording with select settings, Full HD video at up to 180 fps, 12 fps continuous shooting, and sensitivities up to ISO 25600. Also, the camera features built-in 5-axis sensor stabilization, which can work with certain lenses to activate Dual I.S. 2 for highly effective shake correction that can compensate for up to 5 stops of shutter speed. 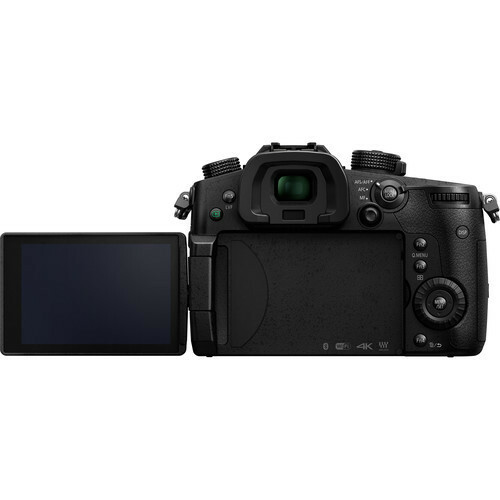 Other improvements include a speedier and more accurate Advanced DFD autofocus system that can lock on in just 0.05 seconds, as well as 6K PHOTO at 30 fps and 4K PHOTO at up to 60 fps. Along with all these internal improvements, the body received some significant upgrades as well. For viewing and composing images both the 0.76x OLED viewfinder and 3.2″ free-angle touchscreen received resolution bumps to 3.68m dots and 1.62 m dots, respectively. This will make shooting more comfortable and more accurate. The magnesium alloy body is now freezeproof to 14°F in addition to splash and dustproof. For fast image transfer and saving, there are now two UHS-II SD card slots. Additionally, for a completely wireless setup it offers both Wi-Fi and Bluetooth for advanced functionality when paired with a mobile app. Rent the Panasonic GH5 from Deck Hand Camera Rentals today!